Are you a fan of American singer-songwriter Kesha? Do you enjoy her particular style of music and sing along to her songs? Are you one of the thousands who brought her albums and helped to turn Kesha into a popular, award-winning, contemporary artist? 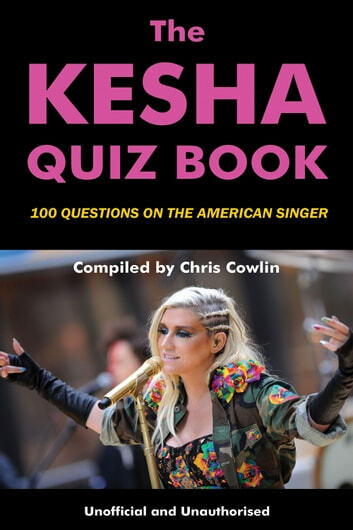 If you like Kesha and would like to find out more about her, The Kesha Quiz Book will tell you everything you need to know? When and where was Kesha born? What was the name of her debut album? How many siblings does she have? What single was her biggest hit? 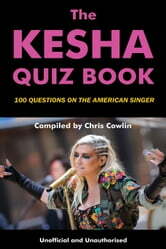 Gen up on details about Kesha’s professional and personal life by tackling the 100 questions in this book. Packed with fun and informative facts all about Kesha, you are certain to learn something new about the bubbly performer and her rise to fame. This is a must-have book for Kesha fans of all ages, so whether you are nine or ninety this book is a great way to find out about your favourite artist.